Nickodemus Williams comes to Forbidden Root all the way from rural North Carolina. Since his graduation from the Siebel Institute in Chicago and the Doemens Academy in Germany in 2008, Nick has been fortunate to lead several different breweries on to great success. 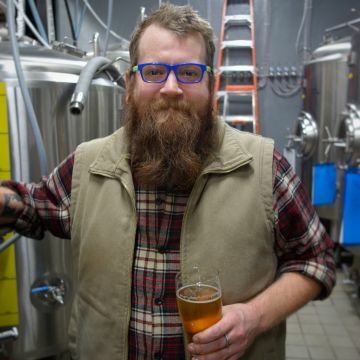 His experience covers almost all brewing styles from strict Reinheitsgebot German styles, to classic Belgian styles, and even into wild and mixed culture experimental brews. Originally from Michigan's Upper Peninsula, Nick is excited to be back in the Midwest and entering a new and exciting brewing community. Fermentation has permeated his life almost completely, as he can generally be found concocting new and exciting food-based ferments at home in his down time.